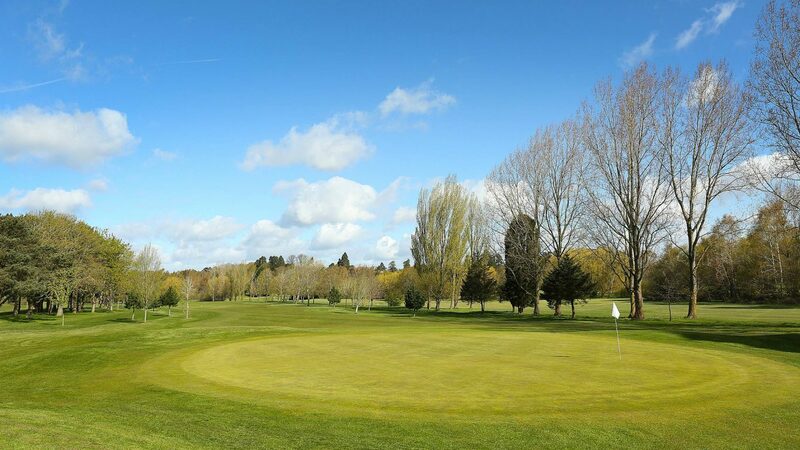 With a reputation as one of the finest pay-and-play courses in the country, the Downshire Golf Complex in Wokingham offers a range of top quality facilities in a delightful setting. The superb 18-hole course is well established with its firm, tree-lined fairways and lush, even greens. The Downshire’s parkland setting also makes good use of water features, offering interesting and varied challenges to golfers of all standards. The course is 6,371 yards long, with a par of 72, with water hazards on 13 out of 18 holes. The club was recently awarded Clubmark/Golfmark accreditation. In addition, to the championship course there is also a 9-hole pitch & putt facility, which can be enjoyed by all the family or used to sharpen up short game skills. The complex also features one of the best driving ranges in the area, offering 30 covered and floodlit bays and PowerTee system installed in 15 bays. Open to the public seven days per week, individual tee time bookings are available online 10 days in advance, and society bookings taken up to 18 months in advance. A welcoming bar and restaurant is available for functions and business meetings. breakfast and golf – packages can be tailored to your needs. 3.7 miles from M3 Junction 3. Four miles from M4 Junction 10. Turn left onto South Road off the A3430 (Nine Mile Ride). 9 hole Pitch and Putt, Covered and floodlit Driving Range with 30 bays and Putting Green. 6 Buggies available for hire plus full catering facilities.